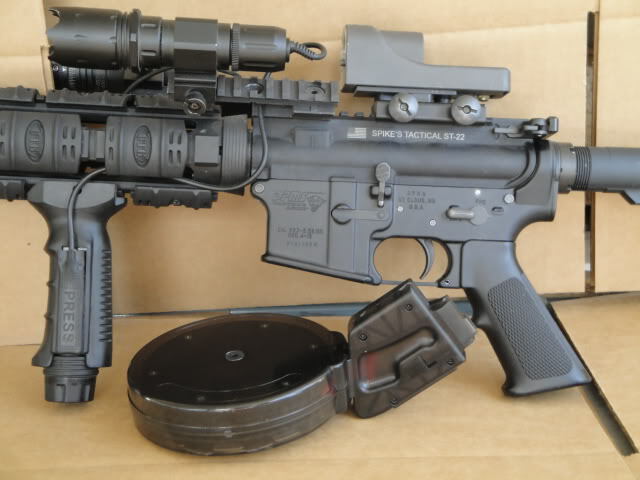 THIS WILL NOT FIT THE SMITH AND WESSON RIFLE ALSO KNOWN AS THE S&W M&P 15 .22. 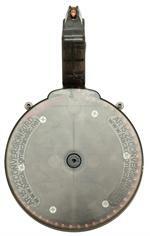 Please find the S&W Drum on the left hand side of our home page. Features: Built with an interchangeable feed tower. 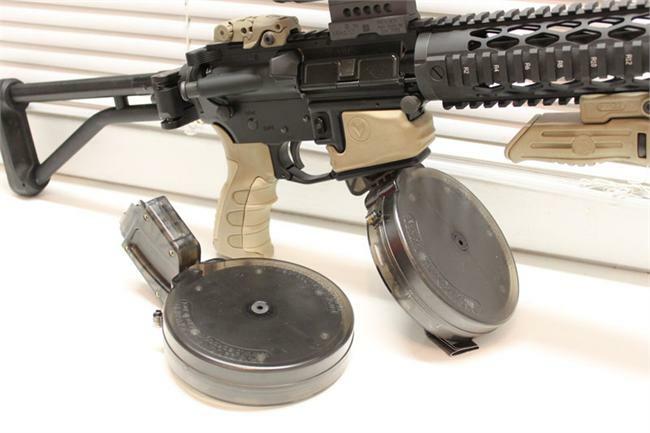 You can easily disassemble the drum, slide your AR-22 tower out and replace it with the new Black Dog 10-22 or S&W.22 feed towers. 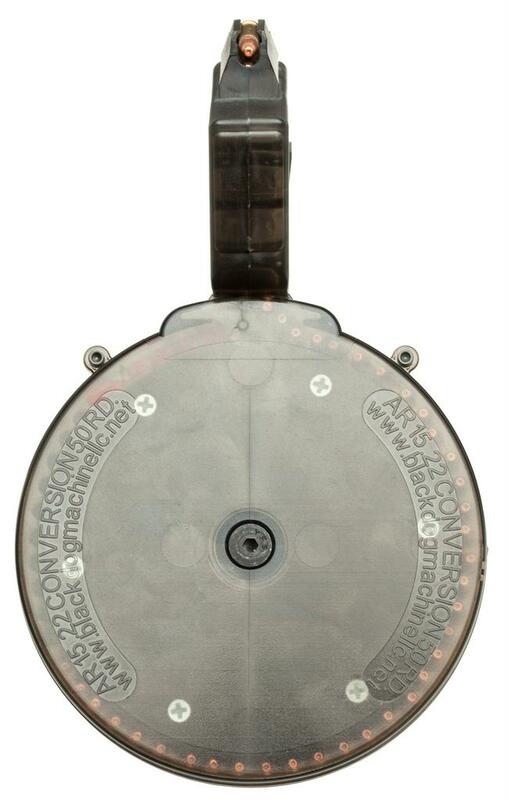 We do not guarantee that the drum will work in full-auto setups. However, many customers report that with a little fine tuning they can get the drum to work in full-auto. Will Not work with: H&K 416.22/Umarex, HK-416D Pistol, Colt/Umarex M-4 Carbine, M-4 OPS, M-16 Rifle & M-16 SPR or S&W- Smith and Wesson. Recommended Ammunition: Federal, CCI/Blazer, American Eagle. Use a round nosed bullet. Stay away from hollow points. Ammunition not listed will not feed well in our products. Black dummy rounds: The plastic black dummy rounds are an important part of the drum assembly. They feed the ammo from the drum body to the tower. BDM does not recommend using dummy rounds as real bullets. Clear rubber bands: Each drum is assembled with one clear rubber band and two extra bands taped to the inside of the drum box. Spring Tension: If you come across feeding issues, the drum spring may be too tight causing ammo to rush up and out the tower. You may also have feeding issues if the spring is too loose. 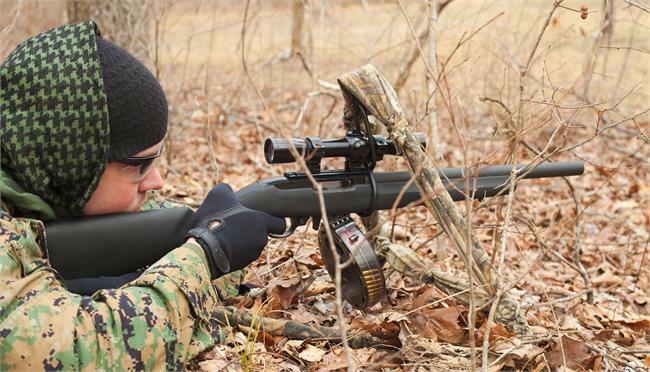 Spring tension may also be required to adjust to your rifle’s bolt speed. The manual provided will guide you through disassembly & assembly. The manual is also available as a PDF on our website. 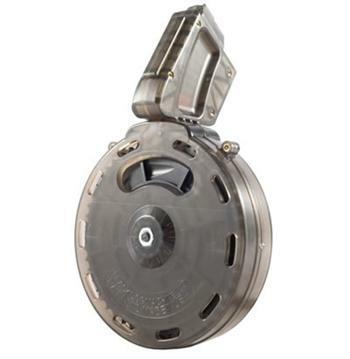 Winding Rotor: Pulling the rotor counter clockwise and letting go will most likely damage the drum. It can cause the internal followers to break. Of all the 15-22 mags I have this one and my 10rd simply never fail. Even with standard velocity stuff. I find the loading to go quick with the thumb winder on the back. Its a little stiff to wind but once you get the hang of it, or wear a glove its quick and easy. I took it out of the box, loaded it with Federal bulk and proceeded to put all 50 rounds down range at a pace of about 1 round a second. I then put 20 Federal Auto Match in it and did the same thing. I fired another 30 or 40 rounds of whichever brand I grabbed at a slower pace. No issues. I also found it easy to load. 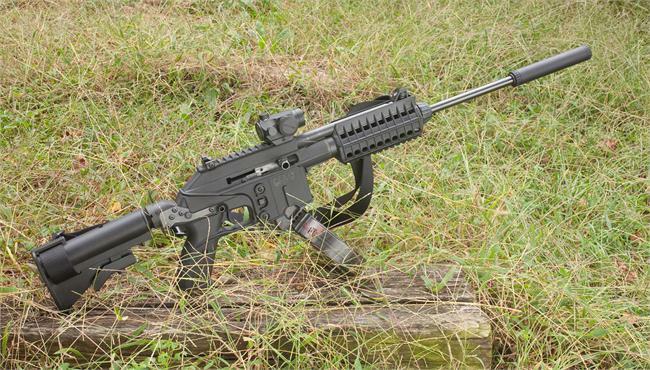 Equipment: Tactical Solutions AR-22 LT upper on a DoubleStar lower. I bought this drum for my Chiappa M4 and it worked flawlessly. It is a solid piece of thermoplastic, very well designed and constructed. Even though it looks big, it is not that heavy for the amount of parts involved and the size. It takes a little trying to learn how to load it so the ammo stars pick up the rounds without skipping but once you learn it, it is a piece of cake loading. I have not taken it apart but hopefully I won't need for a while. 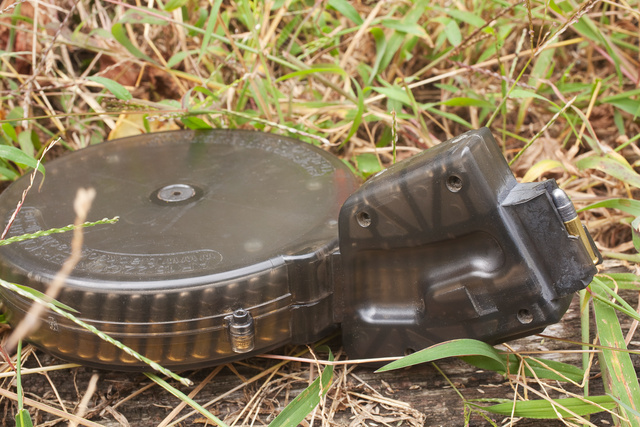 I only used the recommended ammo American Eagle and CCI AR Tactical without any feeding issues. I can't tell you if other types of ammo would work or not. I am very pleased and recommend the product. 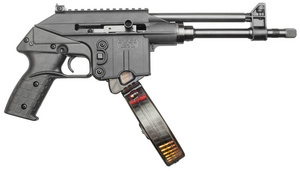 I bought one of these, and it worked like a champ out of the box on my M16 w/.22 Kuehl/Ciener upper. 50-rd mag dumps, perhaps one jam every drum or two. Liked it so well I just bought two more!